The Local invites the community in and around Stratford, Ontario to come together to grow, share, cook, access and advocate for good food for everyone. We are so happy to be working with The Local Community Food Centre on refreshing their space. Every time we get to work with a client whose mandate is to promote the wellbeing of the environment, health and social connectedness, everyone does a little happy dance. The Local requested table top signage that needed a rewritable area for prices and a section for nutritional benefits. Custom jobs are our specialty! If you are looking for a unique product to suit your business needs, we can help. Interior or exterior, we have the means to do both! The Local needed some exterior signage for their gardens with sponsor logos and custom text. Don't fret if you are out of town, we can ship to you! 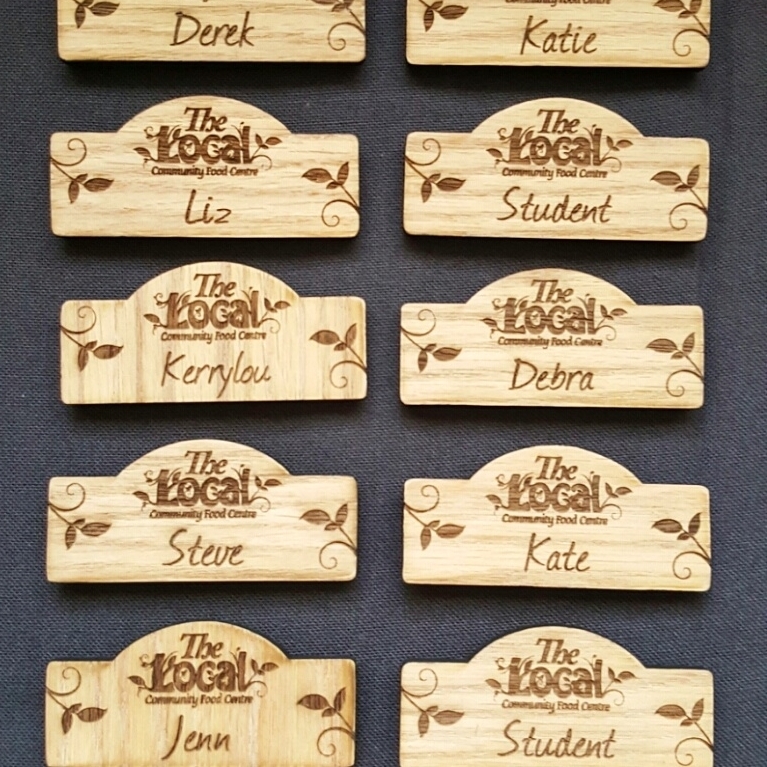 Having many volunteers, students, organizers and members of the community work at the Food Centre, they are always looking for custom name tags. Have a specific shape or size in mind? No problem!